Mumbai, still universally referred to as Bombay, is India’s precious jewel of the West as well as the financial & entertainment capital of the nation. The city has come to be recognized by many names such as the ‘Gateway to India’, ‘City Of Seven Islets’ and the ‘Hollywood of India’. Owing to its natural harbor which has enabled trade and advancement on an extraordinary scale, Mumbai has grown to become one of the wealthiest cities in Asian Subcontinent. Further, Mumbai is the most populated metropolitan city in India and the 8th most populous city in the world with an assessed population of over 21 million as of 2011 survey. This endows Mumbai with a definite title of being the ‘City Of Dreams’ as thousands of migrants flock to the city each year in chase of their dreams. Prime Attractions Of Mumbai City – For Unforgettable Travel Memories. Now, you may be thinking how to see all the beautiful travel attractions in Mumbai without having to spend huge sum going round in circles. The solution is simple – go for the famous, legendary and recommended bucket list of the finest sightseeing and best travel escapes in Mumbai. Mumbai. The wooden doors within the temple which lead to the shrine are engraved with images of the Ashtavinayak, the 8 manifestations of Ganesha in Maharashtra. The central portion of the roof of the shrine is gold-plated and at the center, stands an effigy of Lord Ganesha. You can visit this pristine temple by any of the Mumbai Darshan Cabs. The Mahalaxmi Temple is positioned at Bhulabhai Desai Road in Mahalaxmi vicinity of Mumbai, is one of the most prominent temples in Maharashtra. Built in the year 1831 by a wealthy Hindu merchant, Dhakji Dadaji, the shrine is dedicated to the spiritual deity of Devi Mahatmyam, Mahalakshmi. Within the compound of the shrine, you will see pictures of the goddesses Mahakali, Mahasaraswati and Mahalakshmi. Another one of Mumbai’s very fascinating attraction is the Dhobi Ghat, a renowned open air laundromat based in the Mahalaxmi region of Mumbai. Locally known as ‘Dhobis’, the washers work here in the open to wash clothes, typically from Mumbai’s several hotels and hospitals.The area is in fact so well-known that it encouraged a 2011 independent film with the same name. There are many cheap car rentals in Mumbai that can facilitate you in creating hassle-free travel diaries. 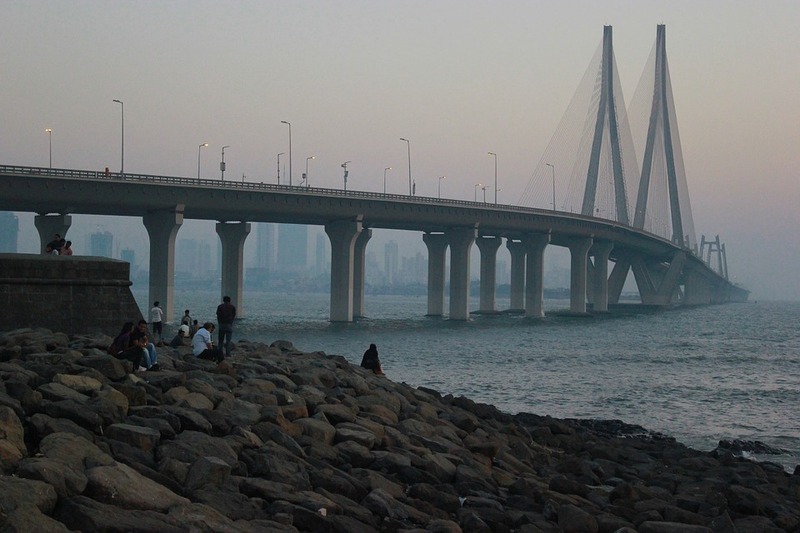 Also known as ‘Queen’s Necklace’, Marine Drive can be said as being Mumbai’s top most famous attraction that no traveler must skip. Being the backdrop for numerous movies, both bollywood and hollywood, Marine Drive is a breath-taking 4 km avenue in South Mumbai which houses a 6 lane concrete road and runs along the Arabian Sea coastline. You can simply hire any of the cheap car rentals in Mumbai and can go on a long drive with family and friends. Constructed during the British Rule in Mumbai, The Gateway of India is a monument of historic significance in India. Located on the waterside in the Apollo Bunder area in South Mumbai, the Gateway of India proudly oversees the Arabian Sea. The arch was initially used as a jetty by the native fishermen and later transformed into an arrival area for British royalty and other prestigious members. This turned the gateway into one of the first buildings that foreign guests would see as they first entered Mumbai.Thus, with so many diverse flavors of travel, tourism sight-seeing, history, food, art and culture anticipating to fill you with delight, why not hire one of the cheapest car rentals in Mumbai for a day or two of pure Mumbai Darshan spree!